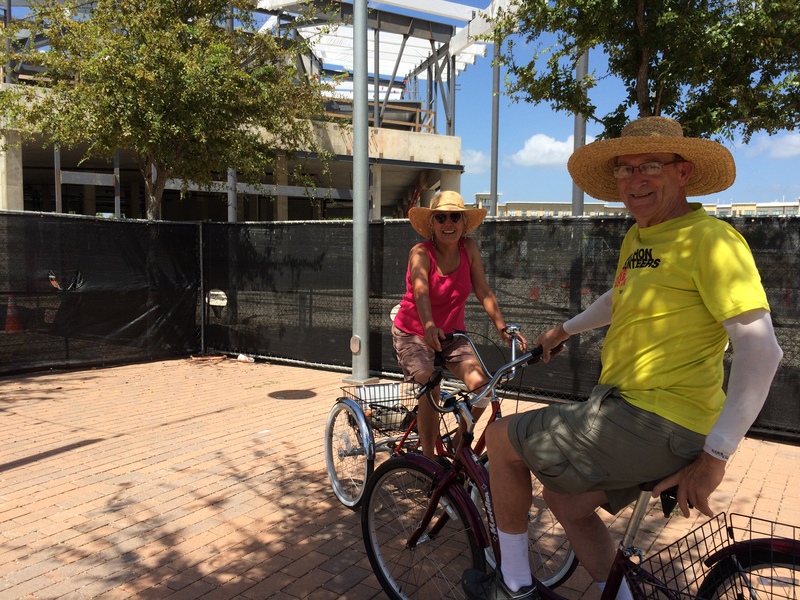 Trikes represent an important option for local transportation, recreation, and exercise. 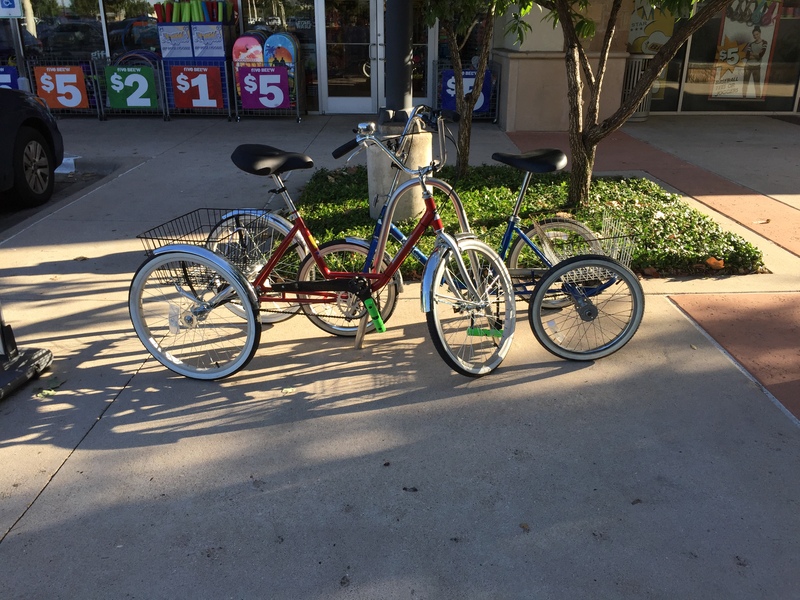 The first photo above shows two trikes parked on one bike rack. 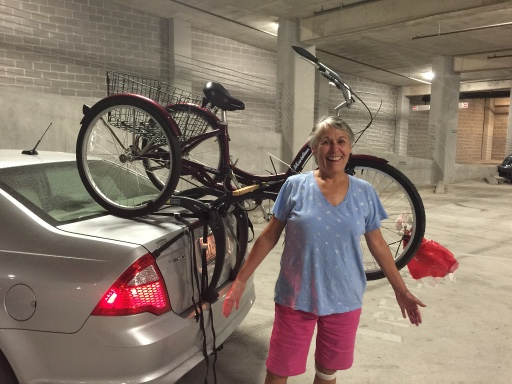 Traditional bike rack placement and spacing may not be optimum for parking trikes. 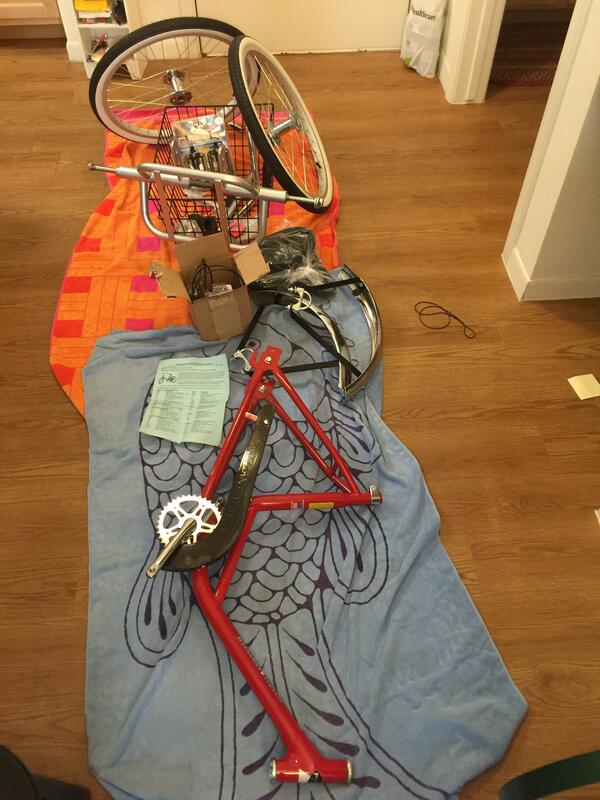 The center photo is the parts that go into a trike. Many trike manufacturers will send a trike disassembled and it probably should go to a bike shop or experienced mechanic for assembly. 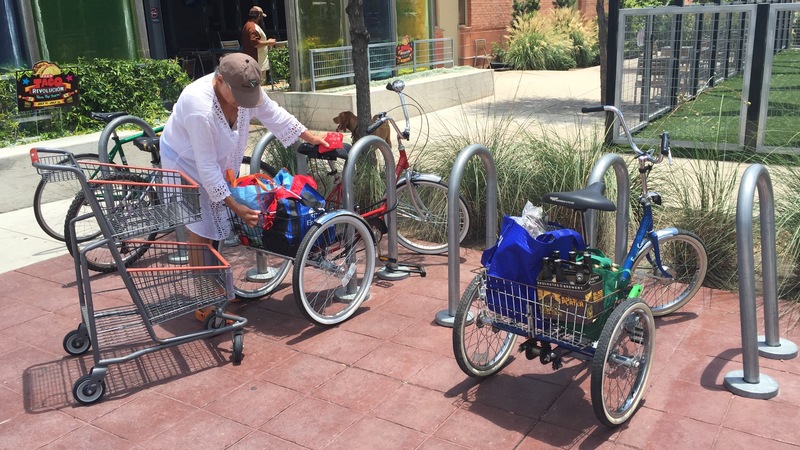 The right photo shows trikes used to carry home groceries. This is about a weeks worth for two people.